For those hosting dinner tomorrow, I am sure most of you are already prepared and ready to go. I still have a last minute trip in the middle of the craze to look forward to later on today! simple to prepare, easy to assemble and sure to delight. in the sharpie decorated bowls . 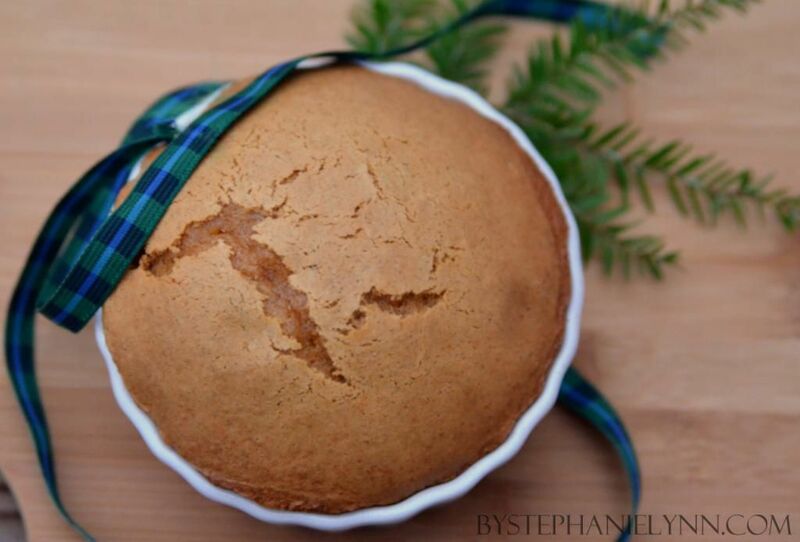 If you are pressed for time this recipe is a quick way to doctor up a regular packaged pound cake mix with the some festive pumpkin flavor. The cake has a tasty crumbled walnut topping that is suppose to be baked on top – though it’s missing in pics as we don’t have nuts in the house do to my little guys allergies. As an alternative I just made a mix of powdered sugar and milk for a creamy icing glaze. In a large bowl combine the cake mix, pumpkin, milk, eggs, pumpkin pie spice and baking soda. Mix on low speed to combine, then beat on medium for two minutes. Pour the batter into a greased 9 inch baking pan. Optional topping: In a small bowl combine the topping ingredients: sprinkle on top the batter. Bake at 350º for 30-40 minutes or until a toothpick inserted near the center comes out clean. 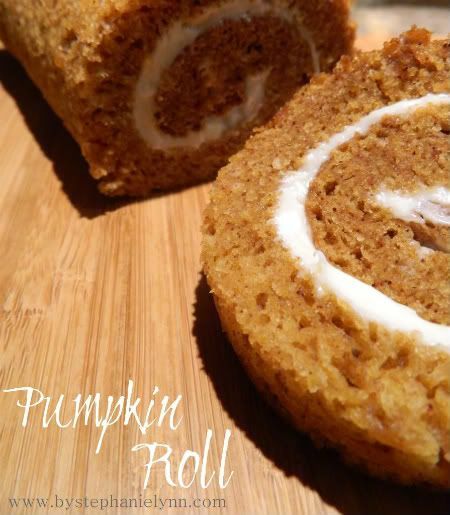 this Pumpkin Roll Recipe is another simple treat sure to please! 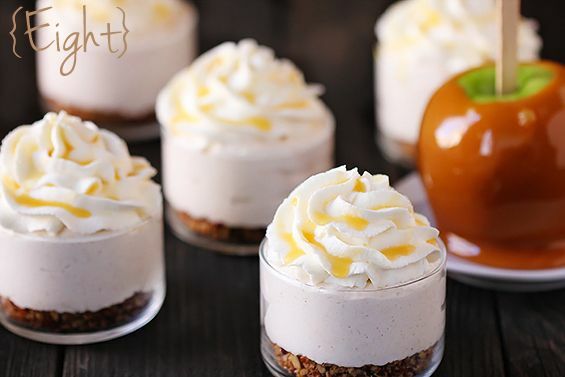 last minute dessert recipes to admire! This easy to assemble pie begins with a layer of butter pecan ice cream tucked into a premade pastry crust. 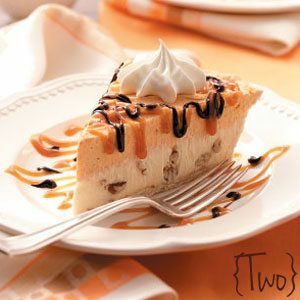 The frozen pie is then topped with a spiced pumpkin whipped cream mixture and drizzled with chocolate and caramel ice cream topping prior to serving. Although the pie does require some freezing, it can be prepared ahead of time and kept frozen for up to 2 months. 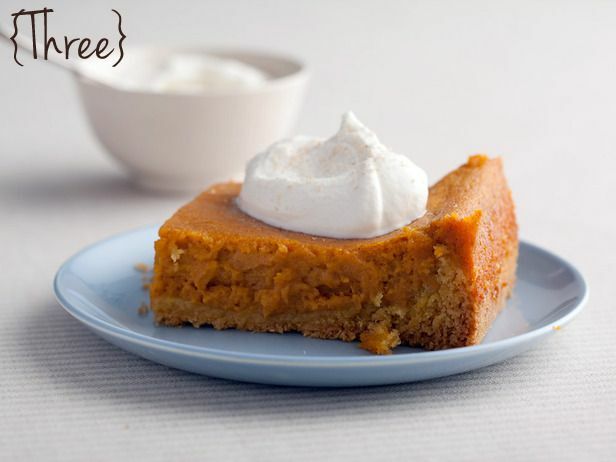 Paula Deen turns a simple packaged yellow cake mix into a moist, buttery, pumpkin delight with this layered two step dessert. 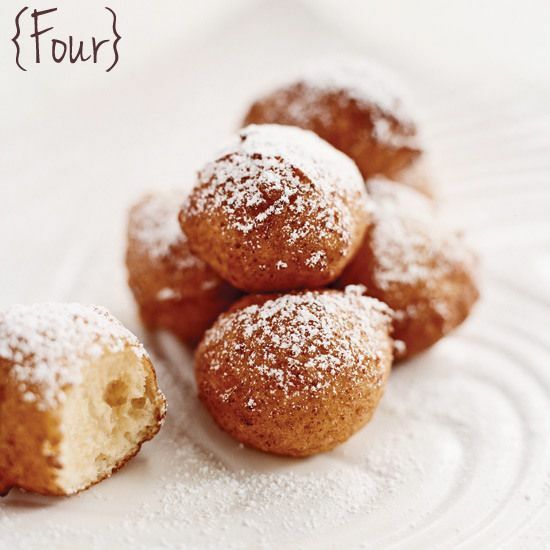 This ricotta based fritter batter can be premade and stored in the fridge, then fried. Each batch takes just 3-4 minutes to fry. Serve warm sprinkled with powered sugar, cinnamon sugar or with jelly on the side for dipping. 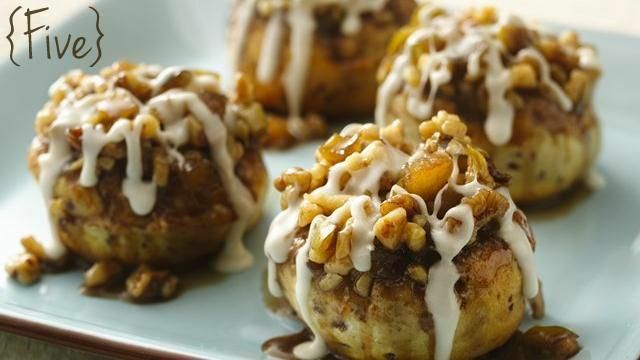 Refrigerated cinnamon rolls are used as a shortcut to this easy five ingredient recipe. 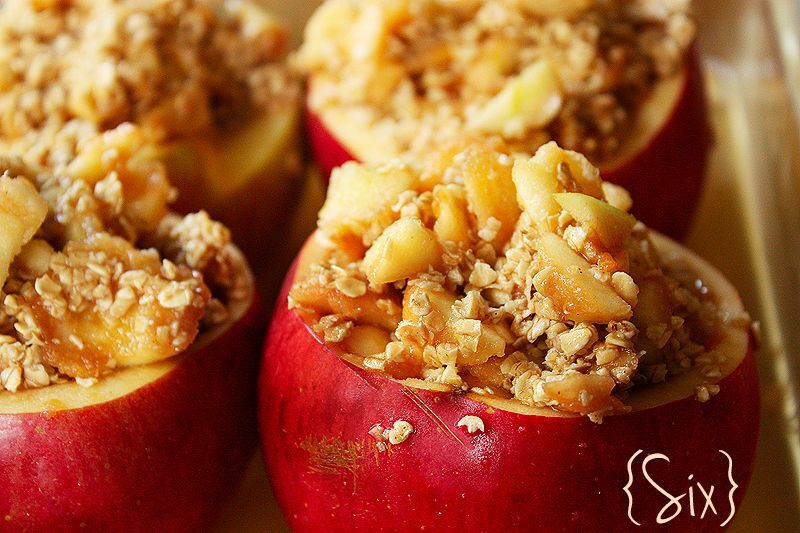 Individual apples hollowed out and filled with a cinnamon sugar apple and oat mixture – baked with cider, maple syrup and caramel sauce. 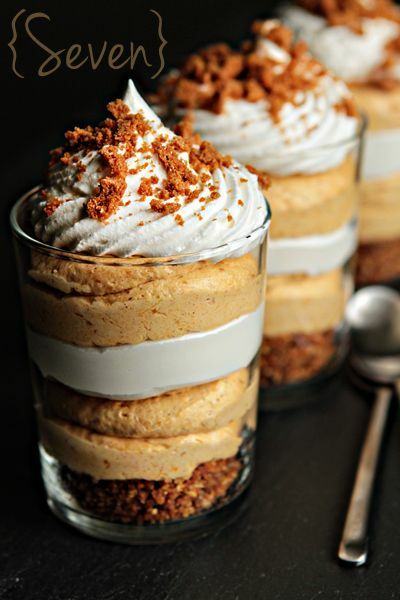 These quick and easy trifles entail a simple pumpkin cheesecake filling layered with whipped topping on top a bed of crushed Biscoff cookies. 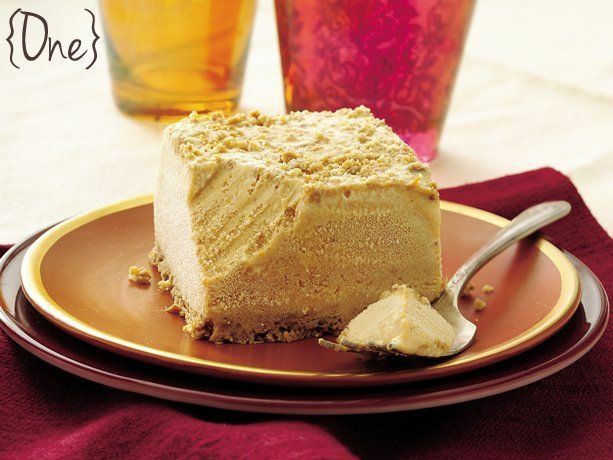 This simple no bake recipe begins with a buttery pecan mixture ‘crust’ topped with a creamy applesauce cheesecake mixture and drizzled with caramel sauce. Hope you have a delicious holiday ~ enjoy. 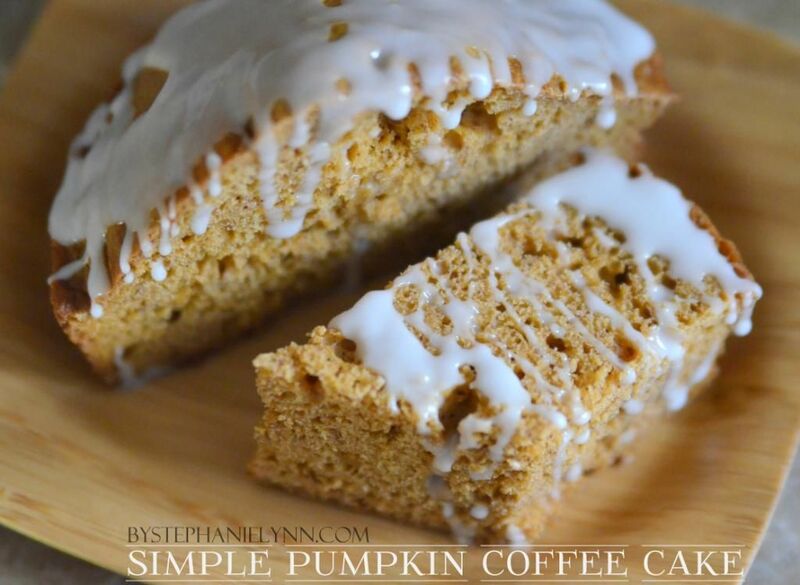 Your pumpkin coffee cake sounds and looks so delicious and yummy. Economical also, love that. I would love to make something different for company that might come to visit over the holidays. I used to make pumpkin bread but not able to mix it up any longer, arthritis in hands and arms. Think I might be able to make this. Thanks so much for the great recipe. Happy Thanksgiving. Everything looks amazing!! 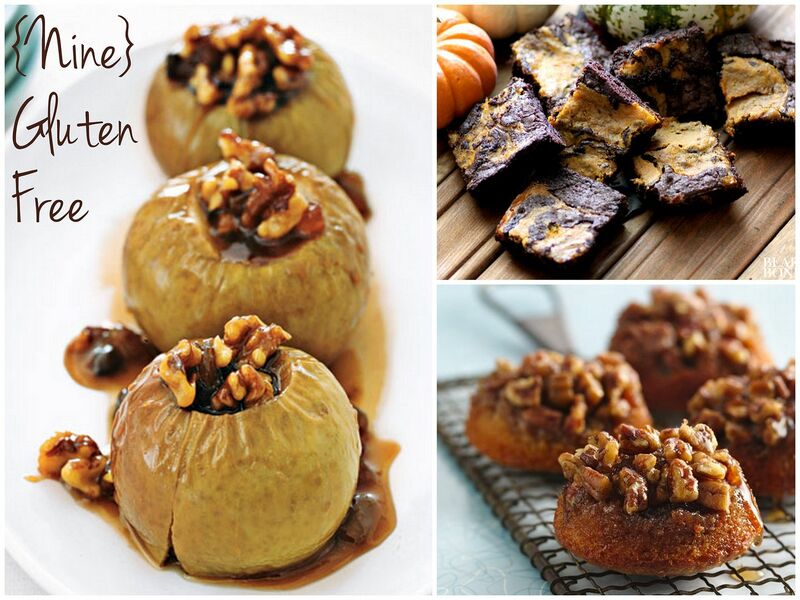 I love pumpkin and will be trying out these recipes!! Thanks for sharing and I am your newest follower!! Great blog!! I made #7 for dinner on Thursday and it was DELICIOUS and EASY! I do NOT bake, so I’m always on the lookout for easy desserts. Thanks for sharing! 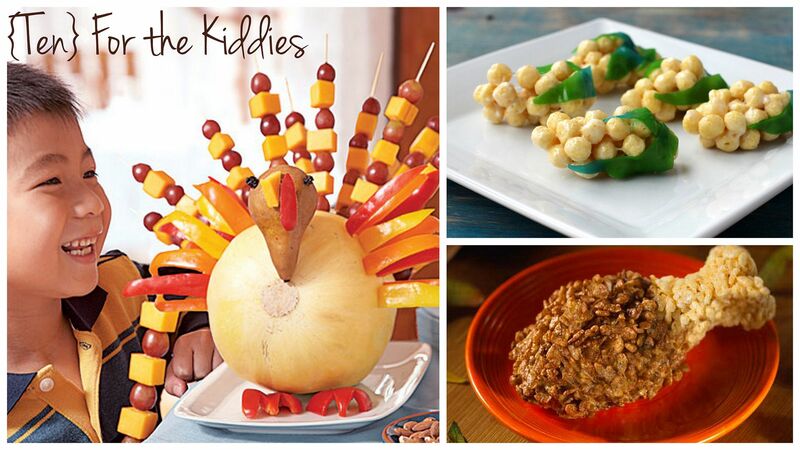 These recipes make me happy and will astonish my family and friends. Pictures are truly worth a thousand words. Thanks so much for the easy recipes and photos good enough to eat!! Thank You so much for the pumpkin roll recipe. I really love it ! This site is wonderful , the pictures with the recipes are great. I am so happy I found it. Thank You so much.